Coconut oil is one of those products you rarely hear bad things about. It’s touted as the ultimate all-natural multitasker, capable of transforming skin and hair the same way a more expensive alternative would. It moisturizes. It heals. It smells amazing. And most important, it usually lives up to the hype. So you can imagine my surprise while watching one of my favorite beauty bloggers say she was done using it. Whitney White, more popularly known as Naptural85, has an informational YouTube channel dedicated to healthy hair and skin habits, with the majority of her recipes and tutorials being DIY. If you’re someone who likes to know the ins and outs of every product you’re using, White is a great person to reference since she spends a lot of time delving into the benefits of individual ingredients. In short, she knows her stuff. So what on Earth would make her want to stop using something as universal as coconut oil after several years? According to the video post originally shared late last year, it irritated her scalp and made her hair strands more brittle than they had ever been — even though she was using an organic, virgin kind. As it turns out, there are a number of reasons your hair and skin could have an adverse reaction to coconut oil. For starters, its positive reputation has led most of us to believe it can do no wrong. According to Monastery founder Athena Hewett, “The reason that coconut oil gained such popularity in recent years is that it was a very accessible oil, inexpensive and plentiful with a high level of medium-chain fatty acids.” Seems like a dream come true, right? To the contrary, there are three ways in which it can be quite the opposite. I can guarantee you or at least one of your friends loves to slather her body in coconut oil, especially during the cold-weather months. Its thick consistency feels like a warm blanket this time of year, and for those with drier skin, it delivers the kind of moisture you don’t have to worry about disappearing throughout the day. Although that nourishment feels long-lasting, it can also suffocate your skin cells simultaneously. Although this isn’t something that happens to everyone, it is worth monitoring if you wear coconut oil every day. Beauty experts also endorse coconut oil as an all-natural alternative to makeup remover or makeup primer. And although your skin may feel like butter, it can be difficult for makeup to stay put, regardless of whether you use a setting spray or not. And again, since it is high on the comedogenic scale, your skin is even more vulnerable to breakouts since you’re layering coconut oil with makeup that could have the same thick consistency. As far as your hair is concerned, the protein structure of coconut oil is capable of sitting inside the hair shaft. So it makes sense that so many of us, especially those with damaged strands, like to use it as a treatment or leave-in. And if Whitney White’s first-person account is any indication, these symptoms can also extend to the scalp, where irritation can breed. In short, it’s time to find an alternative. We certainly aren’t the first ones to discover the potentially harmful side effects of coconut oil, which explains the rise of a new variation: fractionated coconut oil. According to Hewett, “This oil has been stripped of its medium-chain fatty acids and has been created into a dry oil (an oil that penetrates quickly). This chemical process does make the oil less comedogenic.” And at first glance, this does appear to be an easy solution. However, this also makes coconut oil much more expensive to work with, less pure and nutrient-poor. Ultimately, it feels kind of pointless to use in skin care since the old negative side effects are just replaced with new ones. So what are we left with? For eye makeup specifically, cleansers infused with castor oil, like Monastery’s Rose Cleansing Oil, will clean the lashes without penetration. 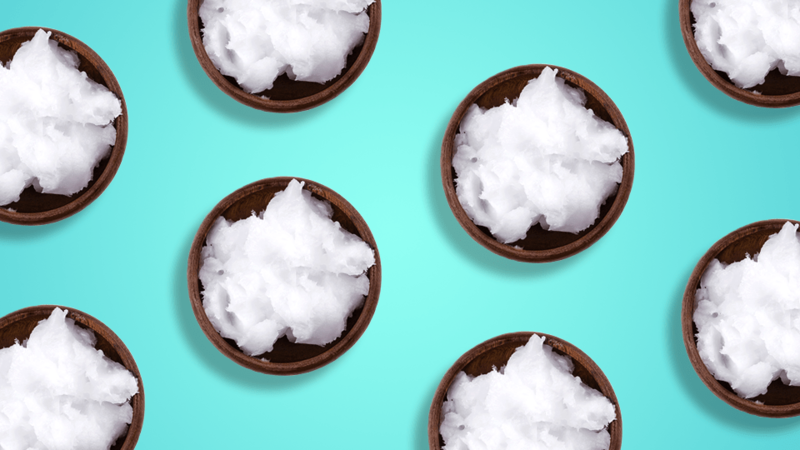 If you’re hoping to kick your coconut oil habit, these not-so-fun facts may just be the motivation you need.